Conducted by Statistic Brain on April 2, 2017, a compilation of adoption statistics. Statistic Brain. (April, 2017). 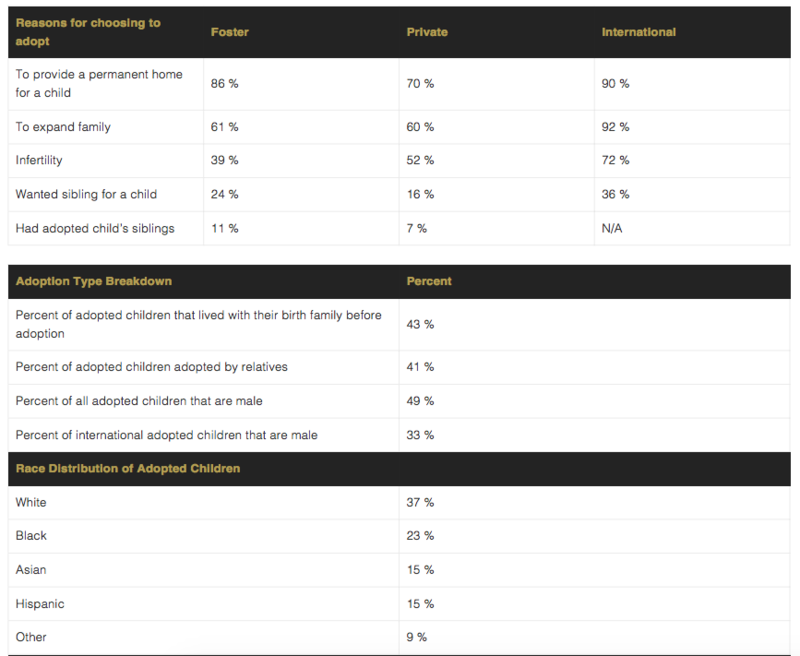 “Adoption Statistics”. 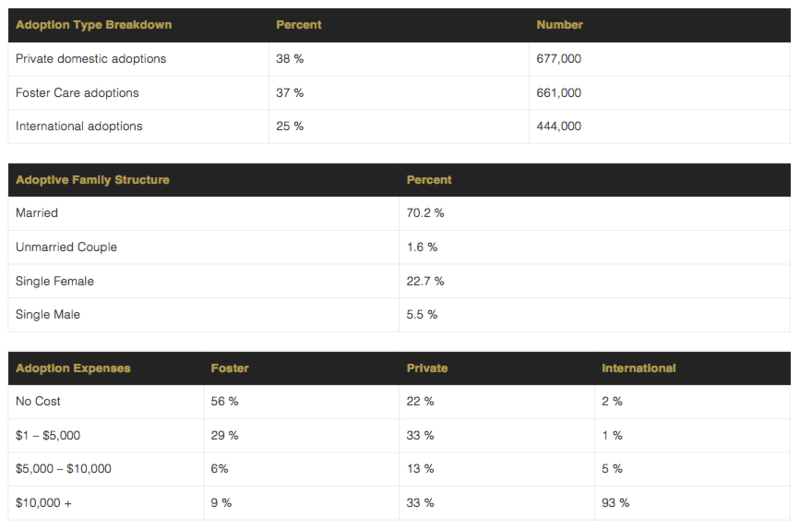 Retrieved from http://www.statisticbrain.com/adoption-statistics/. 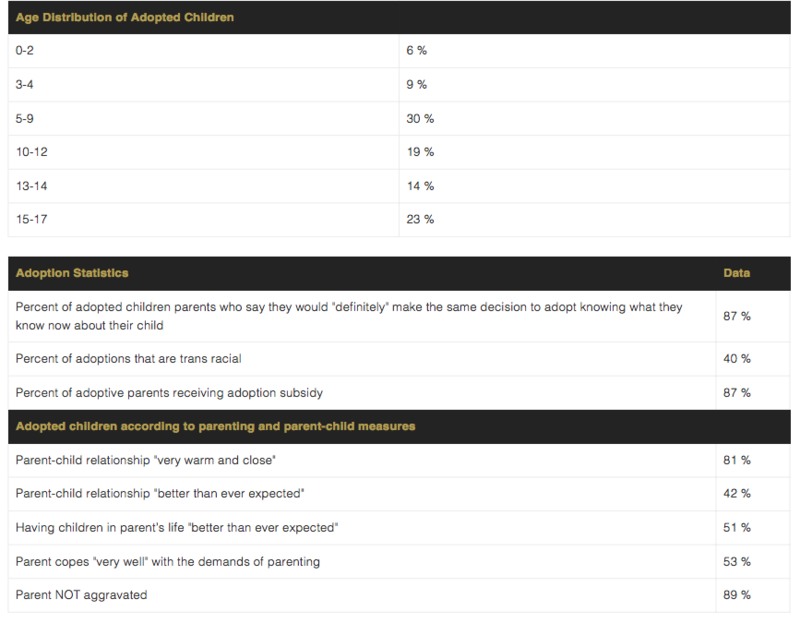 Referencing: Adoption USA: National Survey of Adoptive Parents, U.S. Department of Health and Human Services.